Chanteuse Country Rock US née le 17 Août 1964 à Los Angeles (Californie). Maria McKee fut la chanteuse du groupe Lone Justice de 1982 à 1988. 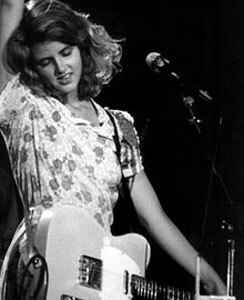 After making her name as the gritty, soulful lead singer of roots rockers Lone Justice, Maria McKee embarked on an often-rewarding solo career. A native of Los Angeles, McKee was born in 1964; her half-brother was Bryan MacLean, the guitarist and sometime singer of the groundbreaking psychedelic band Love. After studying musical theater as a teenager, McKee started performing on the L.A. club scene in a duo with MacLean and also teamed up with local blues singer Top Jimmy (who inspired the Van Halen song of the same name). A roots-music scene sprang up in L.A. during the early '80s, and McKee -- a country music fan -- met like-minded guitarist Ryan Hedgecock; the two co-founded Lone Justice in 1982, and with McKee often composing material, the group became a local favorite. 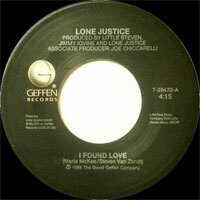 They signed with Geffen on the recommendation of Linda Ronstadt, but in spite of highly positive media attention, their two albums -- 1985's Lone Justice and 1986's Shelter -- failed to sell well, hampered by slick production and a sense of not-quite-fulfilled potential. 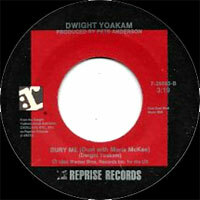 McKee went solo after the latter record and released her self-titled debut in 1989, with Mitchell Froom producing. McKee scored a critical breakthrough with her second album, 1993's You Gotta Sin to Get Saved, which was helmed by Black Crowes/Jayhawks producer George Drakoulias. Its rootsy, countrified rock and McKee's ever more powerful Vocalss led many reviewers to call it her most fully realized work to date. She went on to contribute the song "If Love Is a Red Dress (Hang Me in Rags)" to the hit soundtrack of Pulp Fiction, and in 1996 she released a third solo album, the much artier Life Is Sweet, on which she played all the guitar parts. McKee subsequently took a hiatus from recording, during which time she extricated herself from her deal with Geffen in search of greater creative control. She finally returned in 2003 with another ambitious record, High Dive. In 2004, McKee issued Live in Hamburg, her first released concert outing. It was followed by Peddlin' Dreams in 2005 and Live Acoustic Tour 2006. Late December appeared in 2007 from Cooking Vinyl Records. 1984 SP MCA L33-1210 (US) (promo) . 1996 CD GEFFEN GEF 22099 (EUR) . 2005 CD Cooking Vinyl FRYCD237-CDR (UK) . 1989 CD GEFFEN 924 229-1 (EUR) MARIA MCKEE - I've Forgotten What It Was In You (That Put The Need In Me) / To Miss Someone / Am I The Only One (Who's Ever Felt This Way?) / Nobody's Child / Panic Beach / Can't Pull The Wool Down (Over The Little Lamb's Eyes) / More Than A Heart Can Hold / This Property Is Condemned / Breathe / Has He Got A Friend For Me?